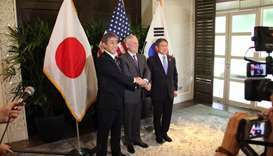 US Defense Secretary Jim Mattis and his South Korean counterpart Jeong Kyeong-doo have canceled the "Vigilant Ace" military exercise that was slated for December, a Pentagon spokeswoman said Friday. 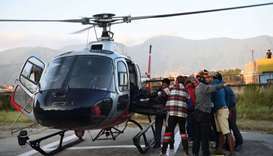 The bodies of nine climbers killed on Nepal's Mount Gurja were retrieved Sunday as rescuers tried to piece together what led to the freak accident, the deadliest to hit the Himalayan nation's mountaineering industry in recent years. 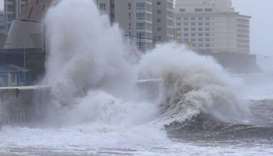 Two people died and one person is missing in South Korea as powerful typhoon Kong-Rey hit the country on Saturday, the government said. 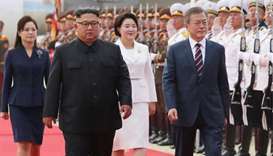 Moon Jae-in is seeking to reboot stalled denuclearisation talks between North Korea and the United States. 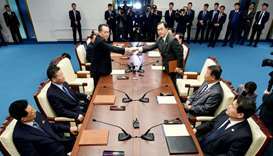 South Korean envoys held talks in North Korea on Wednesday to finalise details on a third North-South summit to be held this month amid stalled talks on denuclearisation between the North and the United States. 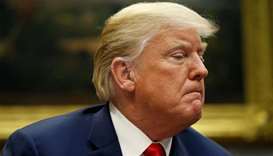 Days after canceling a planned visit to North Korea by his top diplomat citing insufficient progress in denuclearization talks, US President Donald Trump hailed his personal relationship North Korean leader Kim Jong Un on Wednesday and said there was no reason to resume war games with South Korea. 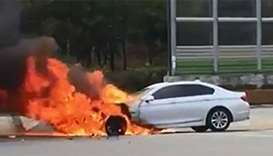 South Korean police raided German carmaker BMW's Seoul headquarters Thursday in connection with dozens of engine fires. Larry, a seven-year-old German shepherd, was searching for a missing person on a mountain when the reptile bit him on his left hind leg in July.